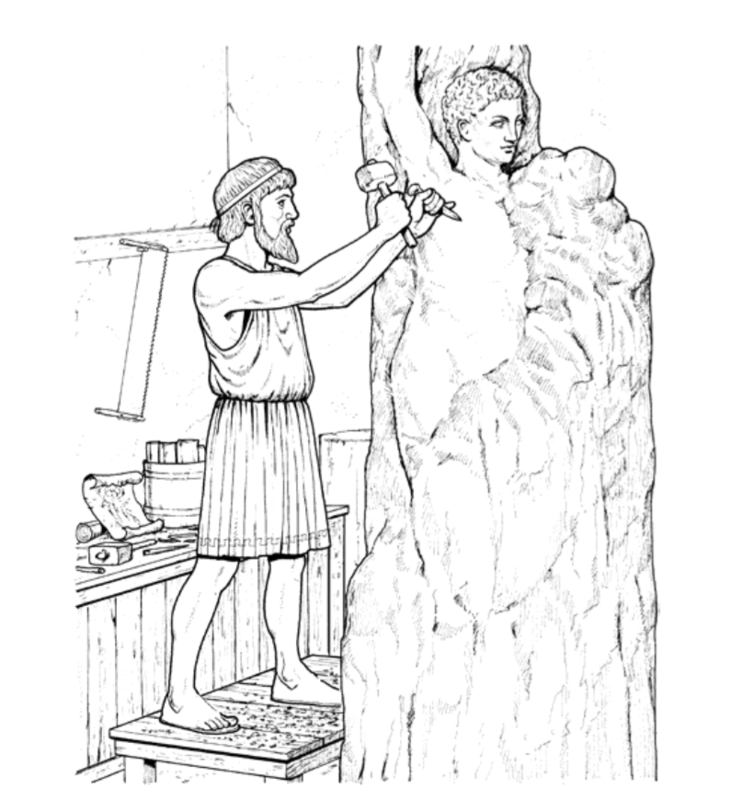 Have students try these activities to expand their knowledge and interest in Ancient Greece. Have students choose a Greek god or goddess shown in Greek Gods or one they have researched. Ask students to draw their own version of what that god might look like. The god may be dressed in clothing from ancient Greek times or may have an updated look wearing modern fashions. Then students can come up with other gods, such as the god of schools or the god of peace, and draw their version of these gods. Have students research and write a report on one aspect of the modern Olympics that is of interest to them. Topics may include a specific sporting event, tradition, such as lighting the Olympic torch, or a symbol, such as the Olympic rings. Ask students to include how this aspect has changed since the ancient Olympics and the history of the event or tradition. Have students locate Greece on a map. Have them chart a route from their hometown to Athens, Greece, and figure out the distance in miles between the two cities. Debating was popular in ancient Greece. As a class, make a list of several topics that could be debated, such as “Should there be school twelve months a year?” or “Should uniforms be mandatory in all schools?” Select a topic, divide the class in half, and assign each half one point of view. Ask each side to list several reasons to support its point of view. Students should anticipate what the other side might say in its argument, and counter those ideas with ideas of their own.